Anyone who watched England’s performance against France last week will not be expecting them to be celebrating any footballing success soon. One chink of light on the horizon however, is the country’s bid to host the World Cup in 2018. It would give the team home advantage if successful and may re-ignite some belief among the fans. Unfortunately, the bid seems to be under threat from negative media reports and allegations of corruption. The fact that the corruption comes from within FIFA, who have themselves proved some of the reports to be true, seems to have been overlooked by the decision makers. 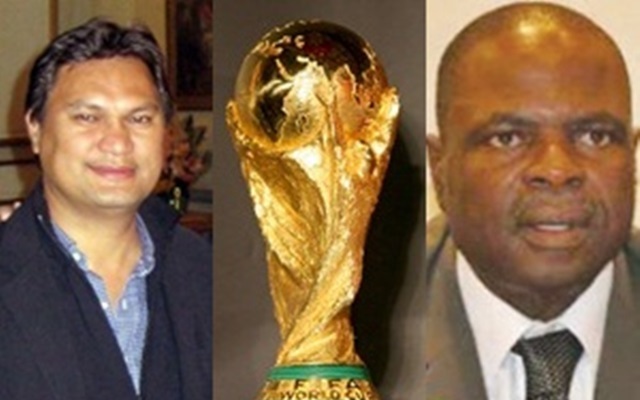 FIFA recently announced they have fined and suspended two members of their executive committee, Amos Adamu and Reynald Temarii. The officials were found guilty of asking for money in exchange for World Cup votes. Four further officials were disciplined for breaking rules on general conduct and failing to report evidence of misconduct. It suggests that the corruption runs deeper than first thought. While FIFA’s strong action should be applauded, their hand was forced by a Sunday Times investigation. But Instead of praising the newspaper for uncovering the corruption, FIFA accused them of being sensationalist and twisting the facts. Their ethics committee claimed it had studied hours of audio and video footage of the allegations, while the Sunday Times had published just four minutes. It’s difficult to see how this matters when both approaches came to the same conclusion: that the officials in question were guilty. The attack smacks of shooting the messenger while trying to deflect some of the blame. It’s hardly the media’s fault that officials have been found to be corrupt and FIFA should be thanking them for uncovering the truth. Executive committee member Junji Ogura told the BBC that the media would not affect his voting decision, but conceded it might do so for others. Some members are said to be angry at the intrusion and stream of negative stories. But when the stories turn out to be true, it is hard to have any sympathy for them. UEFA president Michel Platini has said he doesn’t believe the Sunday Times investigation has harmed the England bid, but continual negative press towards FIFA over the years might have. It is difficult to understand how the two are different. Even if they were, a fair bidding process would judge each country’s bid on its footballing merits rather than how likely their press is to criticise FIFA. England’s 2018 bid team have repeatedly claimed that the Sunday Times investigation has damaged their bid. It has been reported that the banning of Adamu and Temarii has cost them one, if not two, crucial votes. He visited BBC director general Mark Thompson to express concerns at the timing of the programme, which is due to be aired three days before the crucial 2018 vote on December 2nd. Thankfully Thompson is holding firm and the show will still go out. The importance of a free media cannot be underestimated. That Anson even made the trip to the BBC demonstrates how powerful the 24 suits on FIFA‘s voting committee can be. The England bid team’s approach seems to be to win at all costs. But all they are achieving is to effectively legitimise a voting process based on secret ballots and sealed bids, which is ripe for abuse. FIFA’s process ensures we may never know the true effect of the media on England’s chances. However, if the contest is to be judged on the likelihood of each country’s media exposing corruption, then there would be more glory in defeat.